Daniela Collins is a qualified First Level Mental Health Nurse, Manager and an Educator and is a Teaching Fellow of the Higher Education Academy, London. Daniela joined Middlesex University in 2004 as a Senior Lecturer in Mental Health Nursing and has been involved in health and social care professional education and training since 1998, supporting workforce development in health and social care, mainly the NHS, local authority, primary care and charity originations. Daniela has a combined twenty-six-year experience of health care provision and service and staff management. She has specialised and worked in mental health, psychological health and substance misuse services. Daniela completed an MSc in Mental Health at the Medical School, King’s College London in 2004, and is a qualified Corporate and Executive Coach with the Coaching Academy London. Daniela is an active faculty mentor for staff and is currently working towards completing a PhD. Daniela solely developed and leads the MSc Mental Health Health and Substance Use by distance education, the only master programme of its kind in the UK and is currently supervising master students. Daniela’s research interests include leadership, co-production in mental health, student’s mental health and wellbeing, digital health and technology enhanced learning. Daniela is an active member of the Drug and Alcohol Research Centre, the university wellbeing and digital committees. 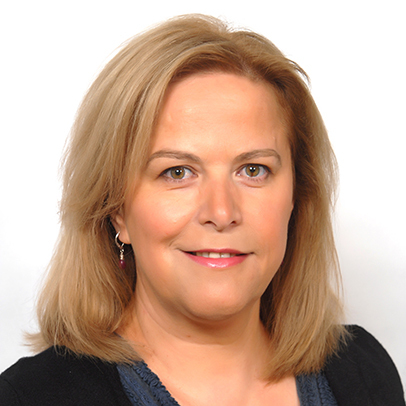 Daniela is an executive member of the Association of Nurses in Substance Abuse (ANSA) for England and Wales and represents peers at the NHS Leadership Academy, the NHS Women’s Leadership Forum for London. Daniela has several awards for excellence in practice. She was elected by faculty and was awarded the Middlesex University Teaching Fellowship in 2015, for an outstanding personal excellence in teaching and supporting learning. Odro, A.B. , Dadzie, LK, Collins, D., Lodoiska, R., Ryan, P, (2014) Evidence of MH Promotion Criteria in the BSc MH Nursing prog. Journal of MH Training, Education and Practice. Vol 9. Issue 3. Hafford-Letchfield T, Carney C., Macdonal A., Colins A.D., Clancy C and So, T. (2014) Ways of seeing: using filmmaking to engage students with communities. Enter Mental Health Annual Symposium, 17-19 June 2014, Barcelona Spain. Collins, A. D., Clancy C., Cajada L. (2014). Spotlight on lack of substance misuse training. Oral presentation on the 15.05.2014 European Commission/EMCDDA, 3nd International Conference on Novel Psychoactive Substances. Rome, Italy. Albert B. Odro, Lawrence K. Dadzie, Daniela A. Collins, Roland Lodoiska, Peter Ryan (2012) Mental HealthNursing and Mental Health promotion: A UK case example. Socialno delo 51(5). 2011 – 2012 EU Funded Project PROMISE (Promoting Mental Health, Minimising Mental Illness & Integrating through Education) Lead Prof. Peter Ryan. Holmshaw J., Collins D. Lynski J., Sartori P., Robisnon P and Crosby K. (2009) Support for students with Mental Health difficulties in Higher Education. CETL/ Birmingham CEIMH: Showcasing User and Carer Involvement in Education and Practice Birmingham University; 10th Nov 2009. 2004 - MSc Mental Health Studies Kings College London (Medical School) ~ Title of MSc thesis 2: ‘Elder patient’s sexual health in an inner London MH Hospital’ ~ Grade: Distinction; MSc Research supervisor: Professor Tom KJ Craig (MBBS PhD FRCPsych), The Institute of Psychiatry, London. May 2016 - Bespoke Leadership Development Programme: Clients: HENWL and WLMHT MH NHS Trust: A one-year project to build workforce capacity. My role: Lead Bid writer and manager including governance of the bid. January 2016 - Practice Development Unit (PDU) Project for the WLMHT Forensic Services to NHS quality service improvement. February 2016 - CPD study days Physical Health Assessment skills for HCAs (Bespoke project): WLMHT MH NHS Trust. September 2015 - BEH MH NHS Trust: ~ Interprofessional Dual Diagnosis Forum jointly run quarterly with the Dual Diagnosis service lead from BEH MH NHS Trust. 2012-13 - Enfield Mental Health User Group and BEH MH NHS Trust: ~ Peer Support Worker in Acute wards project. Daniela is an active member of leading professional societies, such as The Royal College of Nursing, London and the NHS Leadership Academy's Women's Leadership Network for London. She is an active member of the Higher Education Academy, The Mental Health Nurse Academics UK Network and at the National Association of Educators in Practice (UK). Daniela is a qualified professional performance coach and is an active member of The Coaching Academy, London and the International Coach Federation (ICF) and in the European Mentoring and Coaching Council (EMCC). Daniela has supported staff and students in her role as a faculty mentor and coach. Daniela is also a European Erasmus Nursing Mentor and co-lead the launch of the Mentors in Nursing in Europe (MINE) Network with fellow nursing mentors across the European Union. Daniela holds executive board roles at the digital and media committee at Middlesex University and the wellbeing committee. Daniela is passionate about public health and alcohol and drug research and is an active member of the Drug and Alcohol Research Centre (DARC) and nationally with her work in the Association of Nurses in Substance Abuse (ANSA) highlighting the unique role of nurses in addiction treatments across the UK and worldwide.